Cindy was born in Orange, MA in 1954. She received her A.S. from Stockbridge School of Agriculture in 1975. After working as a small animal veterinary technician for a few years, she returned to school and received her B.S. in zoology from the University of Massachusetts in 1981. Cindy worked as a research technician in the pathology department at Tufts University in Boston until 1987, when her daughter Sara was born. 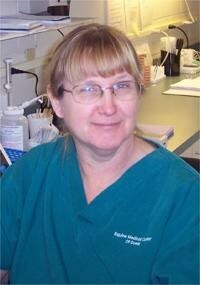 She then went to work as a medical lab technician at Heywood Hospital in Gardner, MA until 2005. She also worked as the animal inspector for the town of Phillipston, MA. Cindy moved to Florida in September 2005, bringing along the horses and dogs. Her daughter is currently attending the University of Massachusetts.